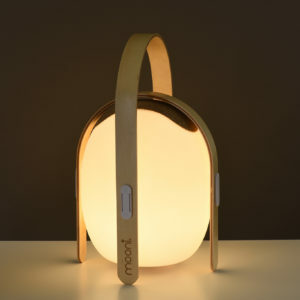 The Mooni Ovo Speaker Lantern features sculpted wood arches with a mid-century modern appeal, with each detail thoughtfully designed. 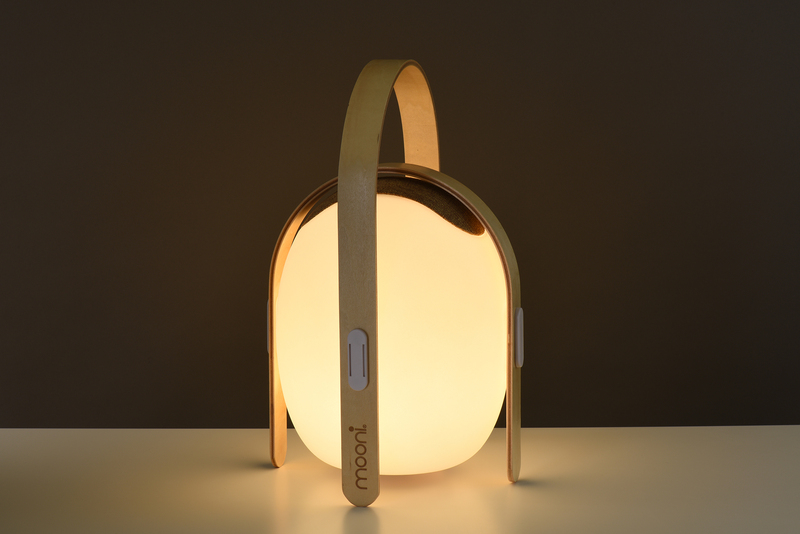 Set the mood with a spectrum of different colour options for the light and stream your favourite tunes from your Bluetooth device. Ovo comes with its own remote that allows you to change function, alternatively you can change colour or switch on and off from the base of your device.